"Success in life comes when you simply refuse to give up, with goals so strong that obstacle, failure, and loss only act as motivation." "Hello! Good day! My name is Arielle Louise C. Tan. Here in Glats, they call me Teacher Ria. I graduated with Academic Honors with the degree in Bachelor of Arts in International Studies. 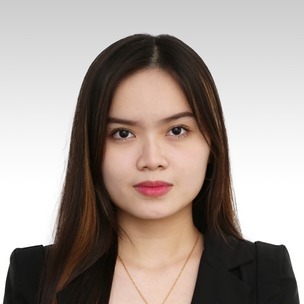 As a fresh graduate, my work experience would have been when I took up my internship at one of the prestigious foundations here in the Philippines. There, I learned to be determined and to give much effort to achieve my goals in life. My passion for teaching began when I was a high school student. We had an activity at school called: Student- Teacher takeover, where the student can be a teacher to a lower year level for a day. Ever since then, I have always had the passion to teach. I also know that every person is unique. Thus, making me respect every individual. You should book in my class because I am friendly, patient, and understanding. I make my class have a nice atmosphere where the student can have a great and comfortable time in learning English. See you soon in my class!"